PLEASE NOTE: The DNA Bargains post content below contains affiliate links. See disclosure statement below. 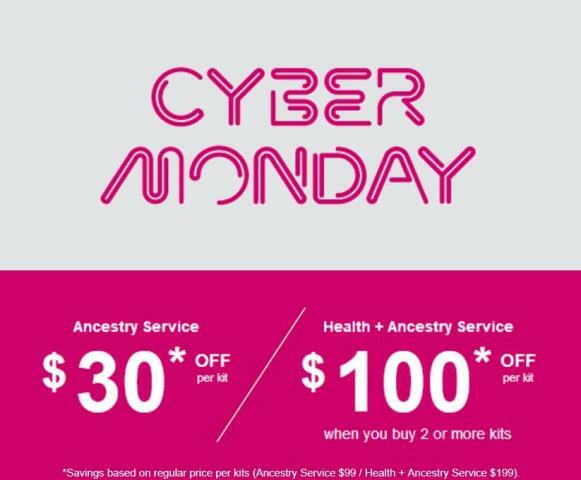 Save 30% or more on a variety of DNA test kits at Family Tree DNA! 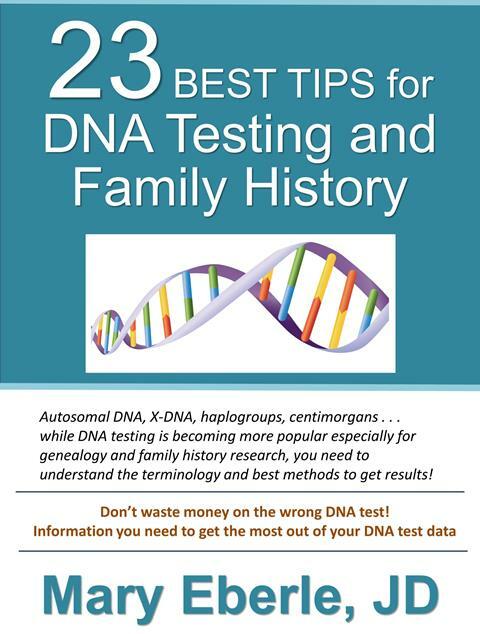 It’s time for FTDNA’s annual Holiday Sale with great prices on the tests you need to make advances in your genealogy and family history research! Just look at these deals . . .
Family Finder: Family Finder provides powerful interactive tools that trace your lineage, help you determine family connections, and discover DNA relatives. Regularly $89, now just $49! Save $40! mtFull Sequence: Examines all regions of mtDNA, identifying your maternal haplogroup and migration path. Regularly $199, now just $169! Save $30! Y-37*: Tests 37 markers. Explore your paternal lineage and follow the ancient migration path of your male ancestors. Regularly $169, now just $129! Save $40! Y-67*: Tests 67 markers. Explore your paternal lineage and follow the ancient migration path of your male ancestors. Regularly $268, now just $229! Save $39! Y-111*: Tests 111 markers. Explore your paternal lineage and follow the ancient migration paths of your male ancestors. Regularly $359, now just $299! Save $60! Family Finder + Y-37 Test Bundle*: Our Family Finder + Y-37 bundle allows you to explore your deep paternal ancestry and migrations. Regularly $258, now just $178! Save $80! Family Finder + Y-67 Test Bundle*: Allows you to explore your deep paternal ancestry and migrations and all that Family Finder has to offer. Regularly $357, now just $278! Save $79! Family Finder + mtFull Sequence Test Bundle: Allows you to explore your deep maternal ancestry and migrations and all that Family Finder has to offer. Regularly $288, now just $218! Save $70! Family Finder + Y-67 + mtFull Sequence Test Bundle*: Provides a view into your paternal/maternal ancestry and all that Family Finder has to offer. Regularly $566, now just $442! Save $114! 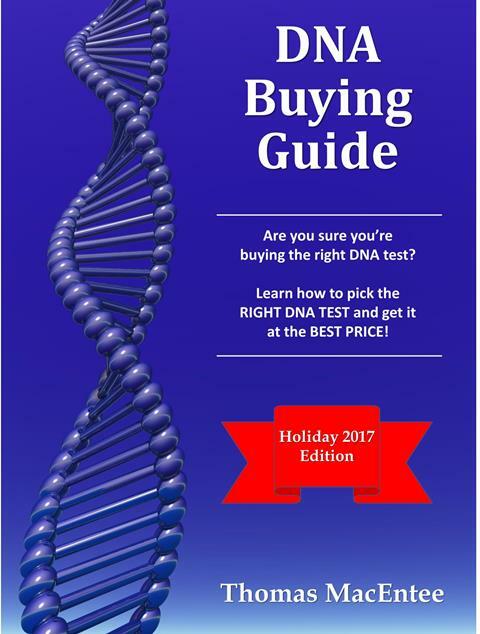 Save $70 USD at Living DNA – now just $89 USD! 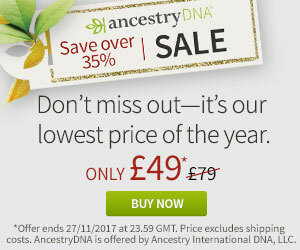 Now this is the best price we’ve ever see for the amazing 3-in-1 DNA test at Living DNA which is a UK based company with a large US following. If you have British or Irish heritage, this test is a MUST since it shows you the ethnic breakdown by region in Britain (Ireland regions to follow soon). 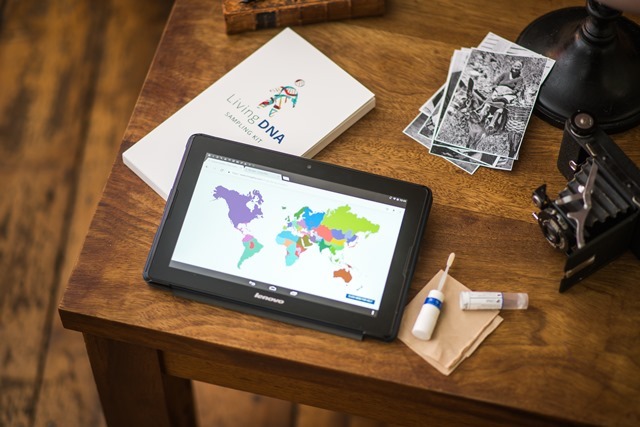 Normally $159 USD, the Living DNA test explores not just your family line ancestry, but also your direct motherline and direct fatherline if you are male! Sale priced at just $89 USD. And the price for UK customers is just £89 GBP! 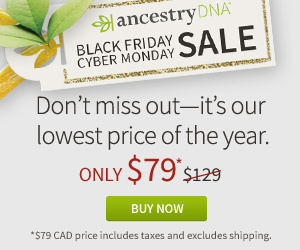 MyHeritage DNA Just $49! PLUS special savings on shipping! Just when we thought that prices couldn’t go any lower, MyHeritageDNA just announced its Black Friday/Cyber Monday Sale – you save 50%! MyHeritage DNA test is an autosomal test just like AncestryDNA and Family Tree DNA’s Family Finder test. You’ll have access to more ethnicities than any other major vendor PLUS received your results much faster than other companies. 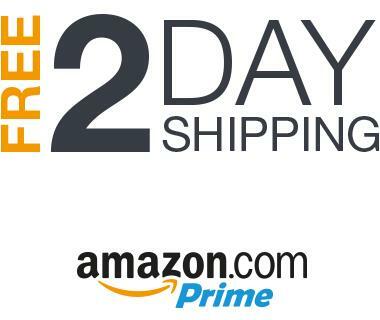 Special Shipping Offer! 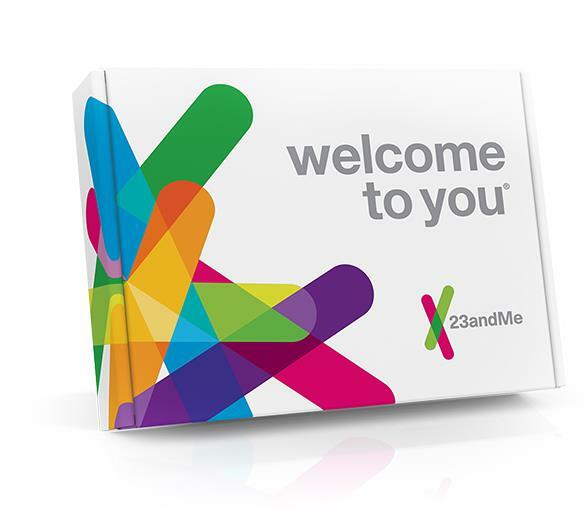 For this sale ONLY, you get FREE EXPEDITED SHIPPING if you order 3 or more MyHeritage DNA test kits and FREE REGULAR SHIPPING if you order 2 or more kits!